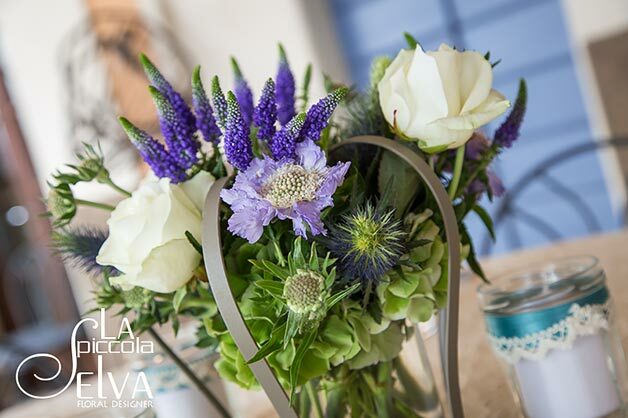 loral Inspirations for a country chic wedding… country chic from the floral designer point of view! 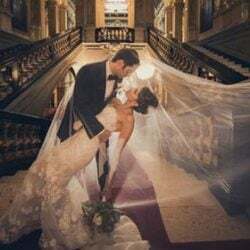 In these days in Italy magazines you can read a lot of articles about Belen Rodriguez and Stefano De Martino’s wedding. Belen Rodriguez is a famous beautiful model and showgirl that lives and works in Italy. Wedding date is 20th September… in just a couple of days. 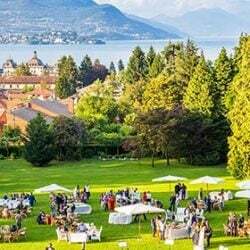 BELEN is getting married at Abbazia di Santo Spirito on Lake Maggiore. 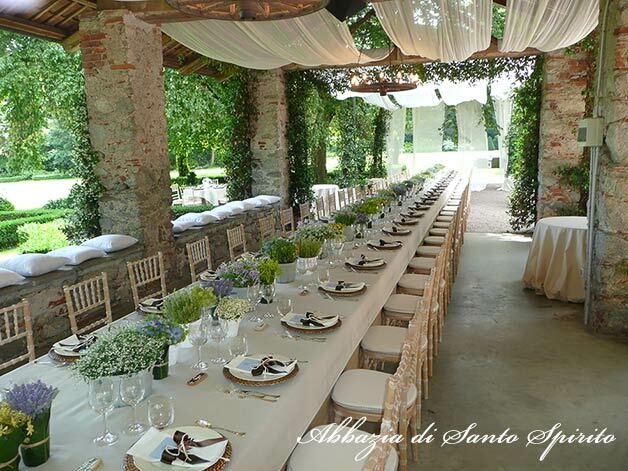 As Belen’s wedding planner declared this is going to be a country chic event as many other Italian VIP opted for such as Ginevra di Montezemolo (daughter of famous Luca Cordero di Montezemolo Ferrari’s CEO) or Margherita Missoni (heiress of Missoni’s family empire). So we thought why not to speak about country chic style? The first step, and the most important one, is choosing the right venue. 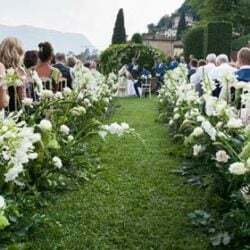 Piemonte Lakes area where I usually work as floral designer could offer two wonderful venues for a perfect country chic wedding: Villa Pestalozza on Lake Orta and Abbazia di Santo Spirito on Lake Maggiore. 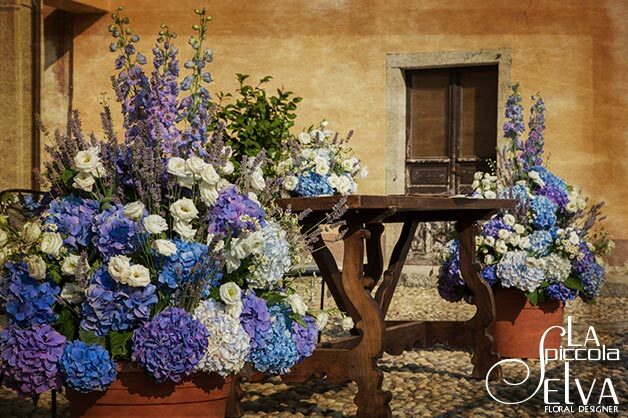 This is the one Belen Rodriguez chose for her country chic wedding! These two venues are very different but they also have something in common: their country setting. 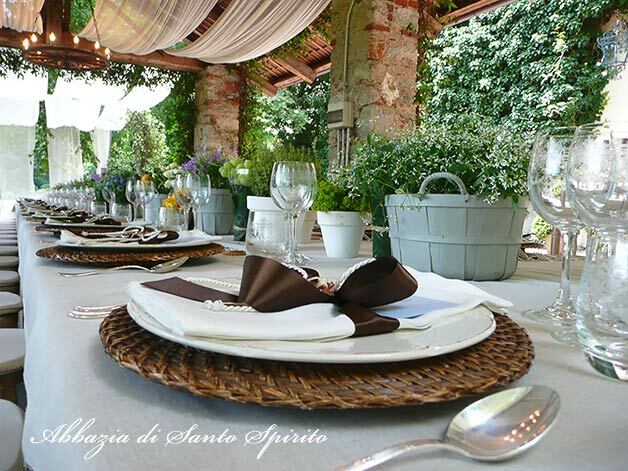 Here you could host your guests in the nature, in big green lawn, flowers, secular trees to create a romantic and evocative atmosphere.These are ideal elements to create an unforgettable country chic wedding at Villa Pestalozza or Abbazia di Santo Spirito! 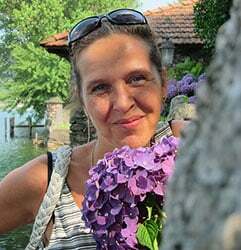 A very special thanks to wonderful Marina Sicher (Event manager to Abbazia di Santo Spirito) Enrico Mocci and Margherita Calati photographers. 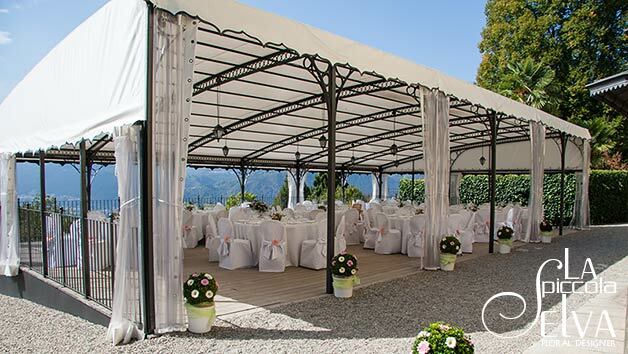 Then after the choice of the venue what are the other important elements to give a perfect country chic atmosphere to your country chic wedding? Flowers, for sure! 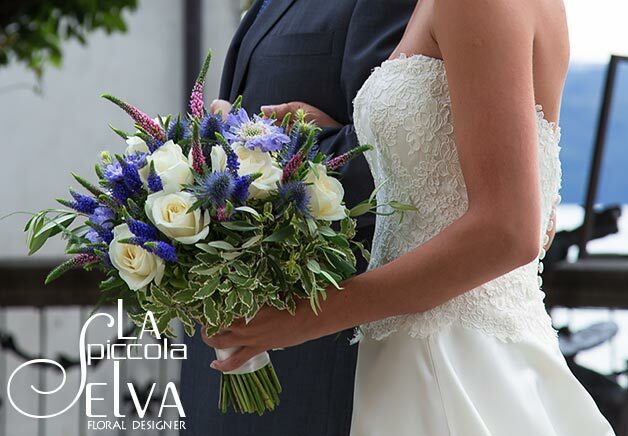 As floral designer my suggestion is focusing on simplicity and natural styles. 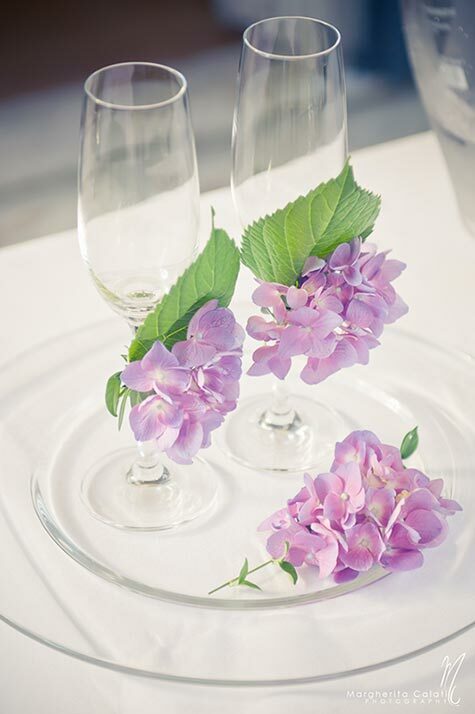 You can use floral decoration and every-days-objects to strike your guests’ attention. 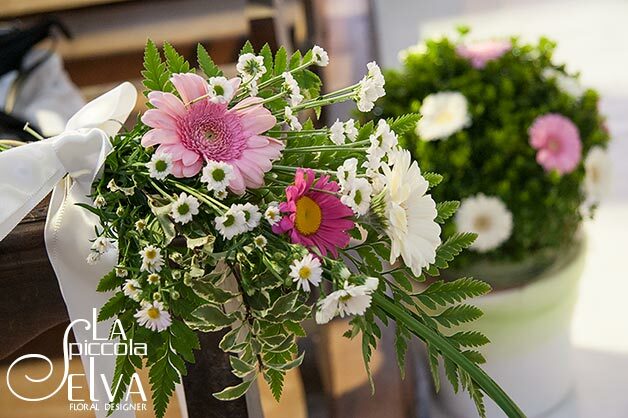 Floral arrangement won’t need to be geometrical or minimal but they rather need to have loose and very natural. A country chic wedding does not need to have a precise colour scheme but it will enhance colours of natures in all its shades. 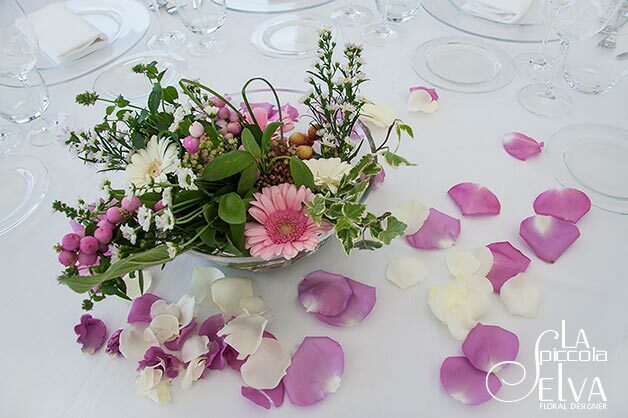 My suggestion is choosing simple and natural flowers such as daisies, sunflowers, lavender, camomille., gerberas, gentians, hydrangeas, and small bunches of little roses. You can also add aromatic herbs, fruits, ears of wheat… there are so many elements to chose! 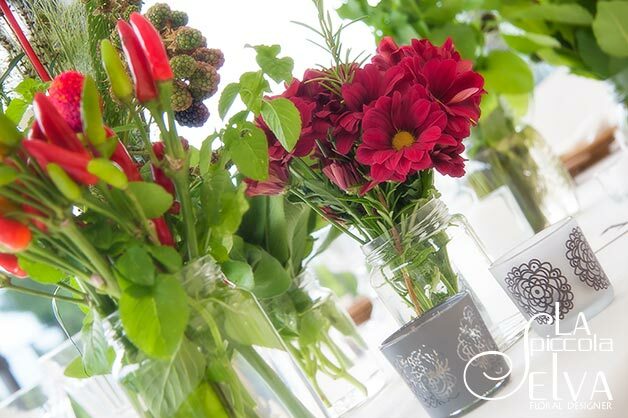 The final touch could be matching flowers with country chic materials or pots where we can put your preferred flowers: wicker baskets, tin jugs, terracotta vases, jura bags, raffia, wooden elements, glass pots or jars or even a rustic hand-cart! 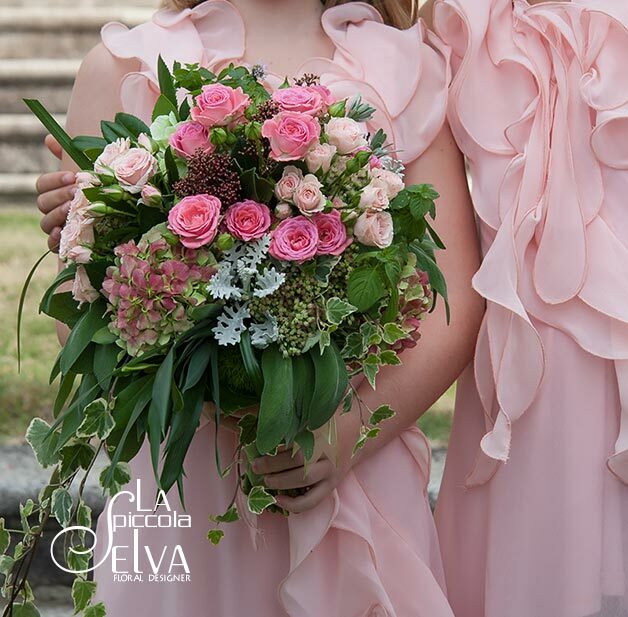 Bridal and bridesmaids bouquets should match country chic theme. My suggestion is opting for a loose shape with lot of greenery and flowers tied together as they have been taken from the fields. 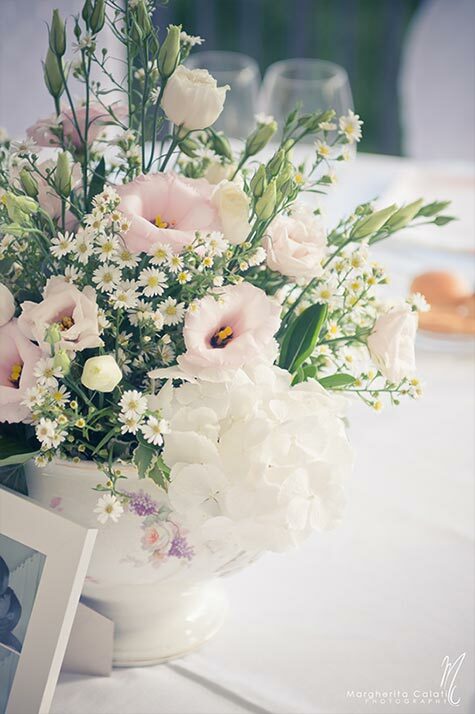 I selected here some images taken by some country chic wedding I worked for as floral designer. I would like to show here how, using the same style, you can get very different results. 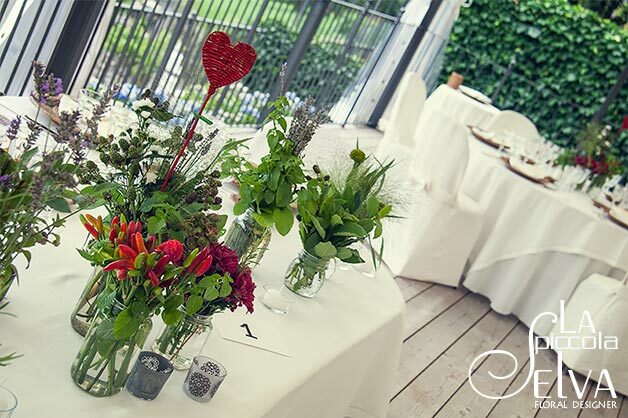 A rustic style for Miki and Mauro’s wedding at Abbazia di Santo Spirito, colourful and festive style for Paola and Sergio’s wedding at Villa Pestalozza, or a natural style inspired by fruit and wild scents for Caitlin and Damiano’s wedding at Villa Pestalozza again. Abbazia di Santo Spirito is the only venue on Piemonte lakes where you could hold your religious ceremony inside the venue itself. This is what Miki and Mauro wanted. 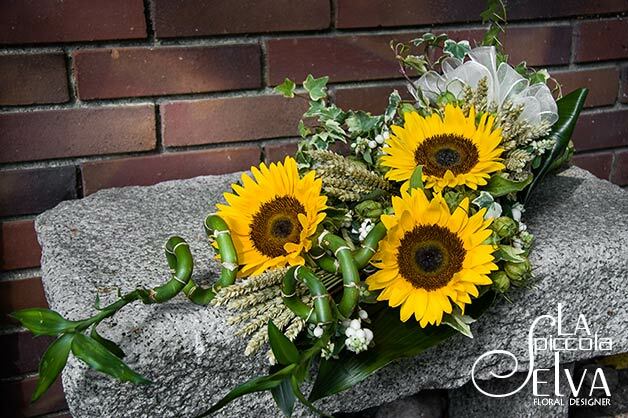 Miki and Mauro got married at the end of August, in sunflowers season! So why don’t use them? 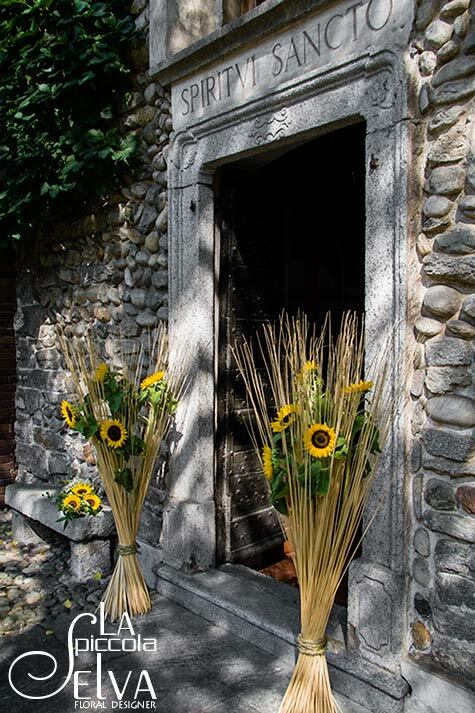 For the entrance of the private chapel I created two rustic compositions in wood with big sunflowers. I used sunflowers with ears of wheat, bamboo, Nigella fruits and pernethia berries for their centerpieces too. 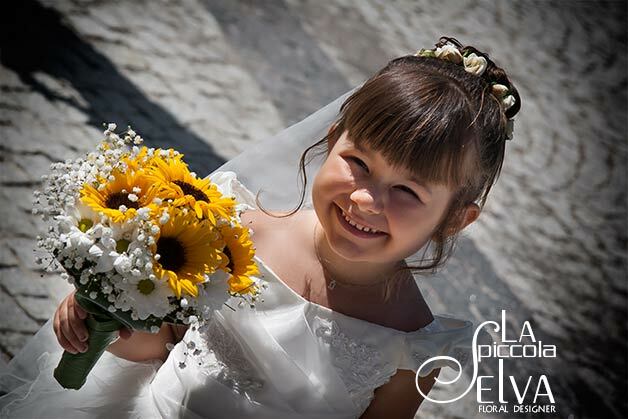 Have a look to wicker basket for the flower girl. 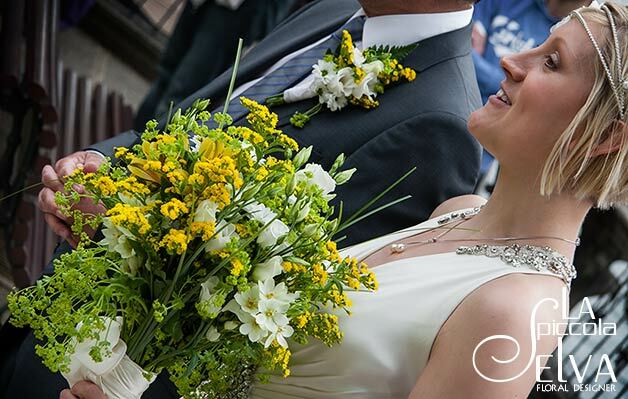 It was full of little white daisies to throw to bride and groom at the exit of the church! So romantic! 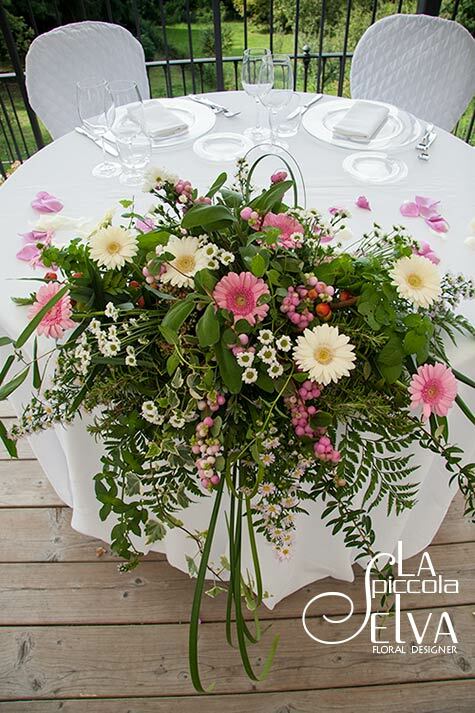 Again some white daisies with pink camomolla, gerberas and asters were all the flowers I used for Paola and Sergio’s wedding at Villa Pestalozza. Paola and Sergio wanted a real country chic atmosphere. 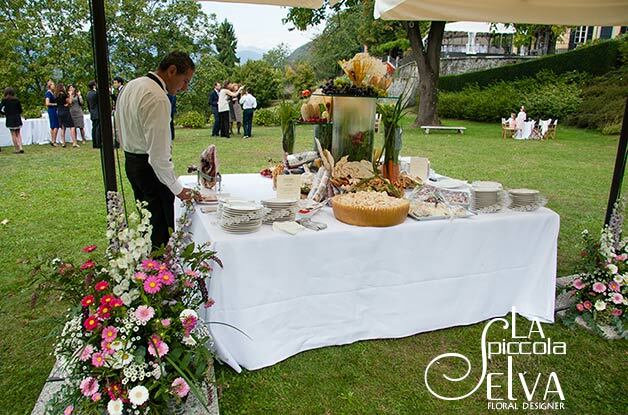 This was the main reason why they chose Villa Pestalozza, a wonderful villa overlooking hills and Lake Orta. 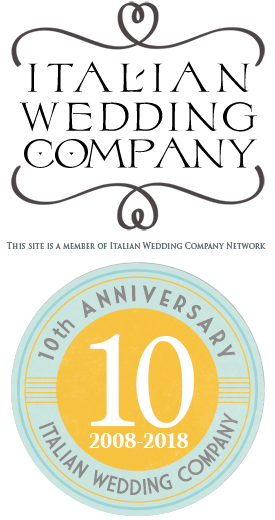 The venue is located just few steps from San Rocco church on top of Miasino village. They planned they ceremony here. I decorated it with the same style they choose for the reception to the villa. 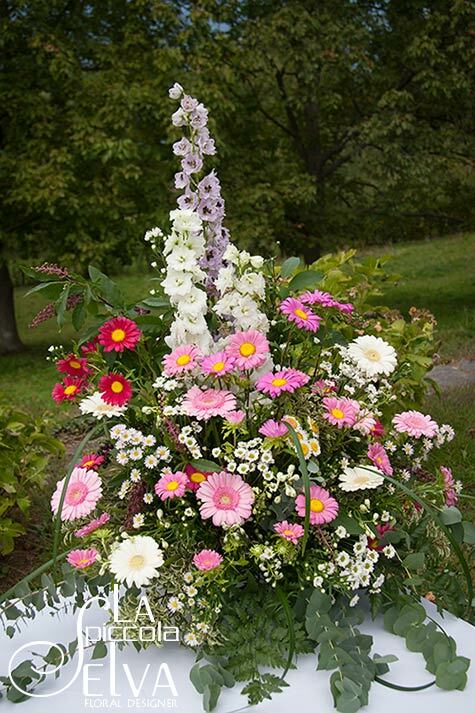 A lot of colourful flowers to create a happy and warm atmosphere. 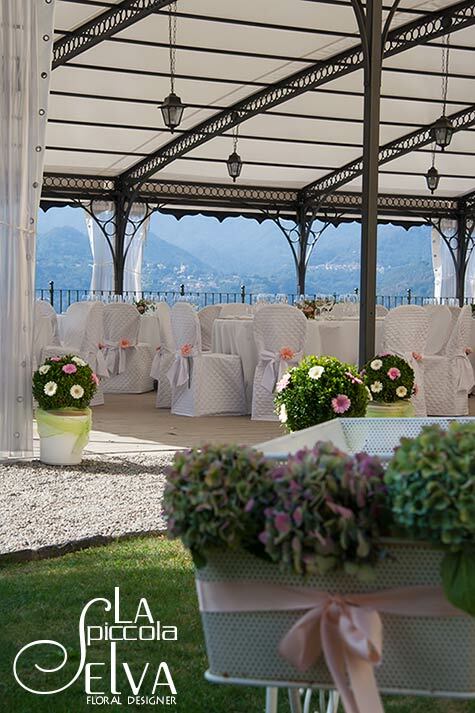 I kept the same style for aperitif tables that was planned in the big lawn in front of Villa Pestalozza itself. As for the arrangements in the big pavilion for the reception I opted for big ball-shaped buxus with gerberas, hanging lanterns and a big floral composition for the bride and groom’s table. Elegant white table clothes and chairs covers (by Do.Ma. Catering) did the rest. 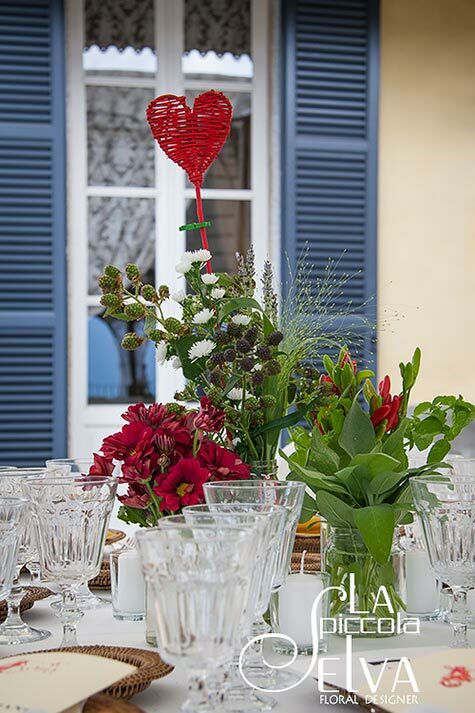 On guests tables I placed glass vases with canine rose and fruits with a pout-pourri of berries and flowers. It was an elegant touch but very natural just like Paola and Sergio wanted. 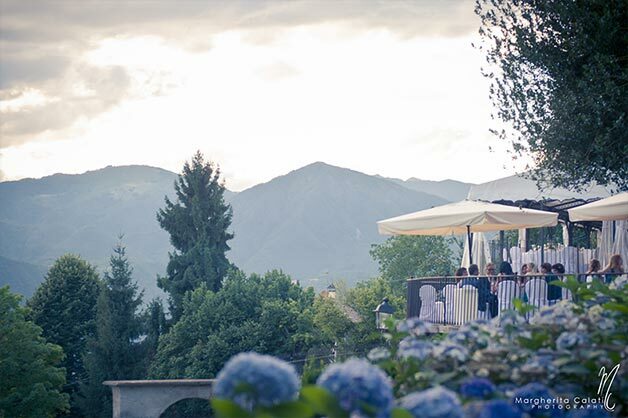 As third example I tell you about another wedding I followed at Villa Pestalozza, in occasion of Caitlin and Damiano’s big day. Base style is country chic again but this time we followed nature, fruits and scented herbs current. We used sage and laurel leaves, mint, lavender, wild berries, astrers, red daisies and a lot of hot peppers! It was all laid in simple jam jars! It was a simple arrangement but very detailed at the same time. 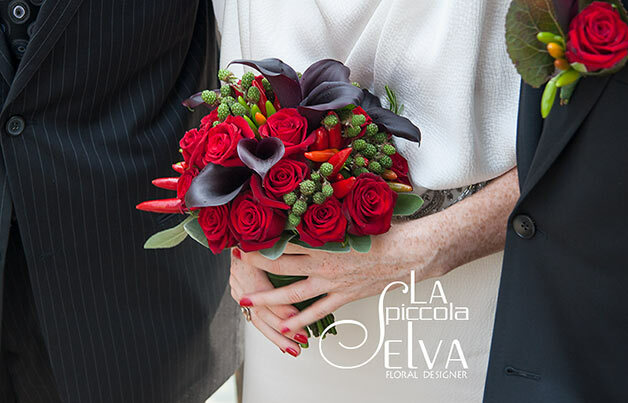 Natural elements (sage leaves, berries and peppers) got together with the elegance of red roses and black calas. I hope that my suggestions could help and inspire! 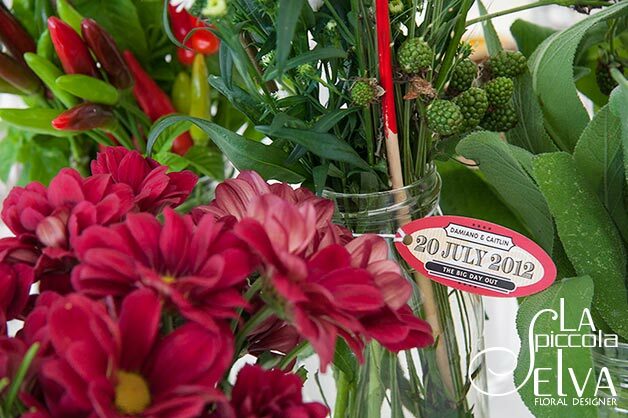 If you are not keen for a posh and too formal style and if you are thinking about an informal and relaxed event, country chic style could be just perfect. 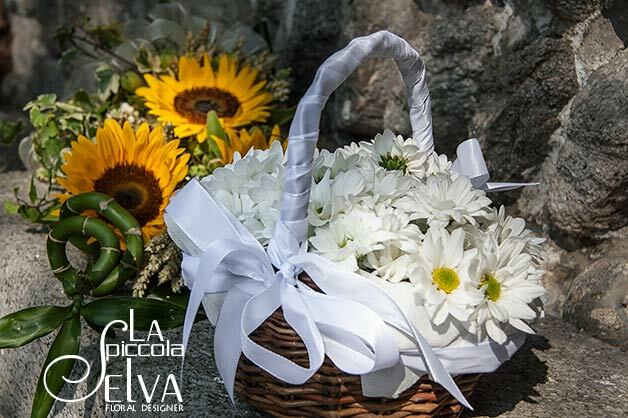 As floral designer I will be happy to help and suggest the best solution for your country chic wedding at Villa Pestalozza or Abbazia di Santo Spirito.